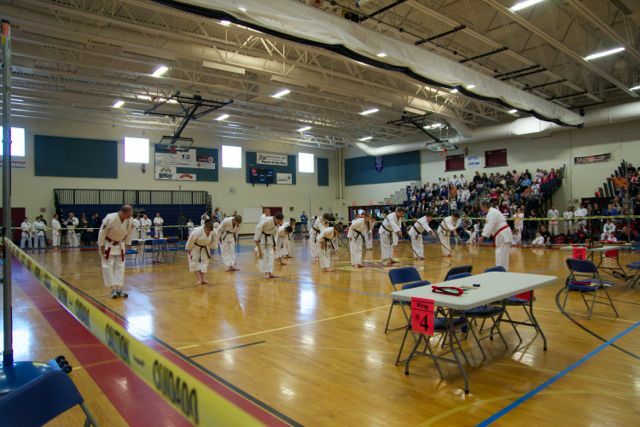 HANSHI RICHARD BERNARD, Director of the Shidokan International, sponsored this event which was held on April 12-13, 2014 in Londonderry, NH. 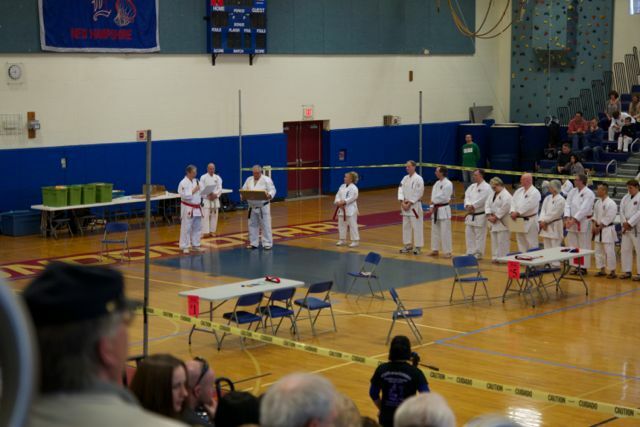 The Traditional Invitational Tournament was held on Saturday at which IKKF Members from our New England Dojos (Baker, Rollinson and Provencher) performed a Kobudo Demonstration prior to the start of the tournament. 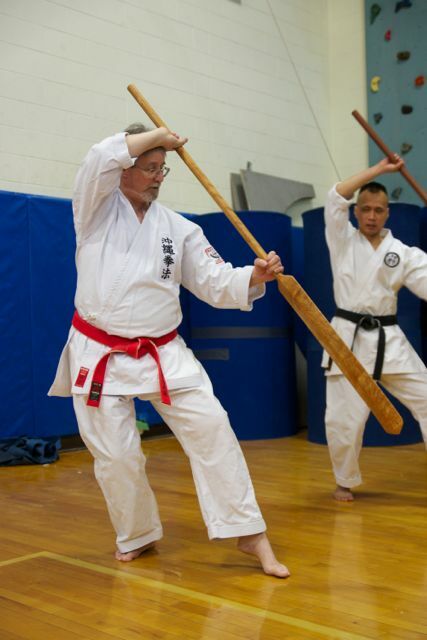 On Sunday, a IKKF Kobudo Seminar was held at the Alpha Martial Arts Academy (Rollinson Sensei) in Chelmsford, MA. 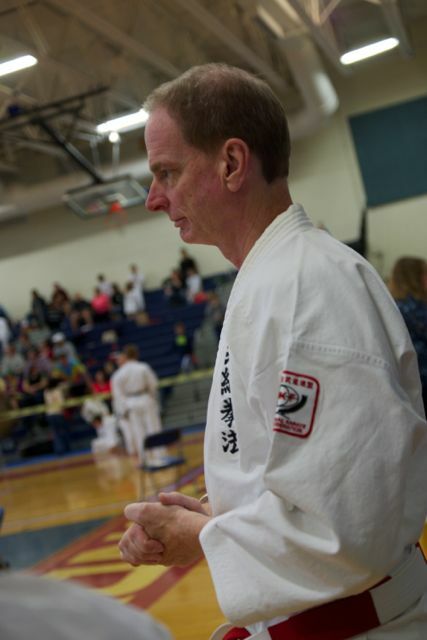 At the Tournament, Hanshi Bernard announced the promotion of Mr. Ron Martin to the rank of Hanshi 9th Dan. 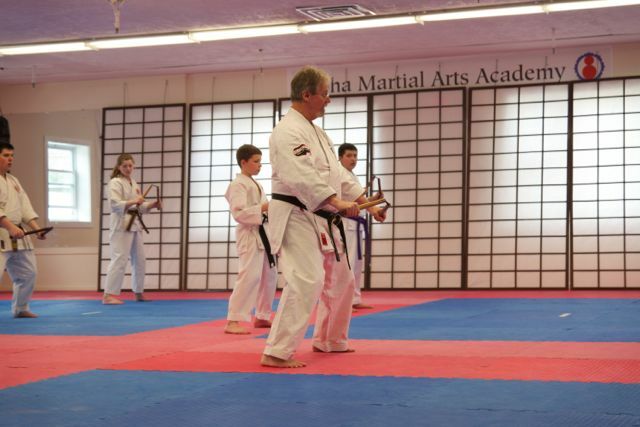 A recognition certificate on his promotion was also presented to Mr. Martin by Hanshi Heilman. 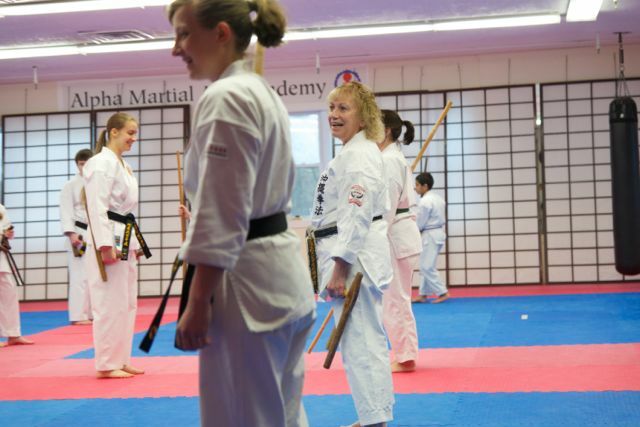 Mrs. Heilman also received a Special Recognition Certificate of her rank of Hanshi 9th Dan from Hanshi Bernard and his Shidokan International group. 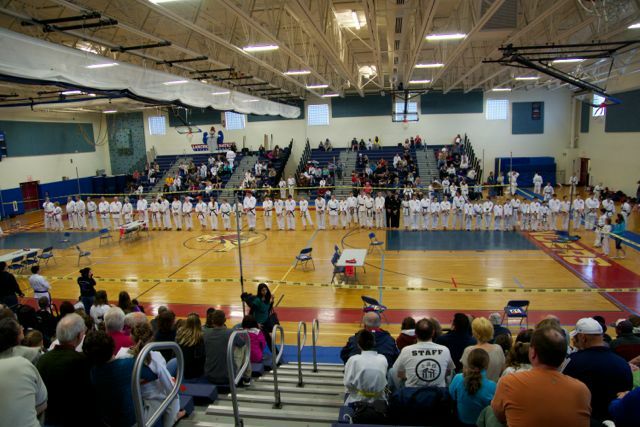 Initial lineup at Shidokan International Tournament held on Saturday. 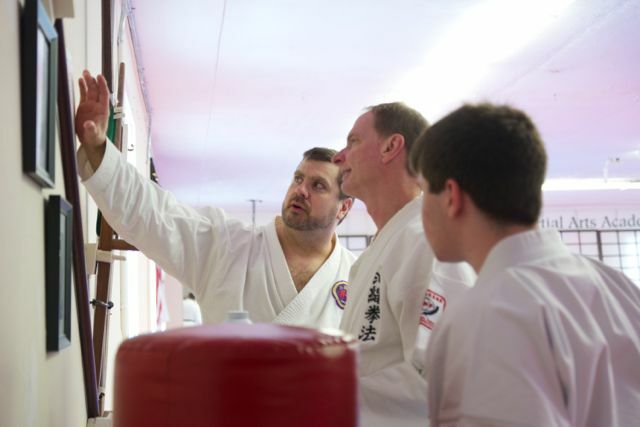 Announcement of Mr. Ron Martin's promotion to Hanshi, 9th Dan by Hanshis Bernard and Heilman. 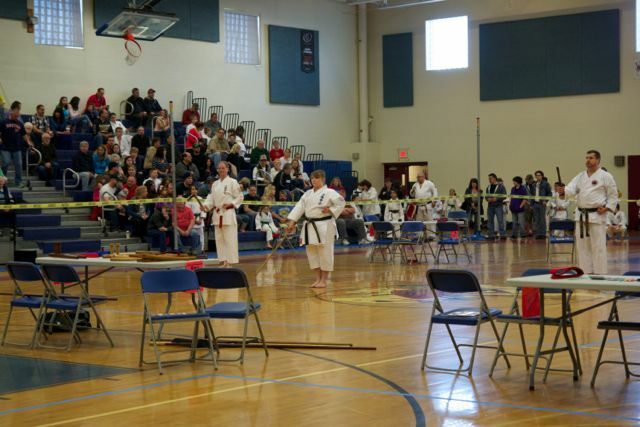 Photo of IKKF Kobudo Demonstration presented prior to start of the tournament. 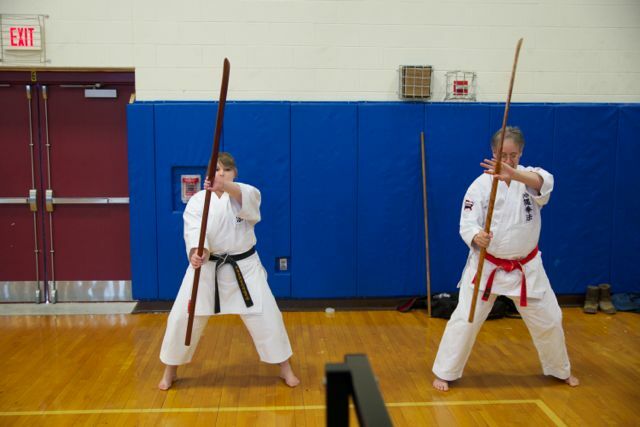 Participants in Kobudo Demonstration came from New England IKKF Dojos or Kyoshi Baker, Renshi Rollinson and Sensei Provencher. 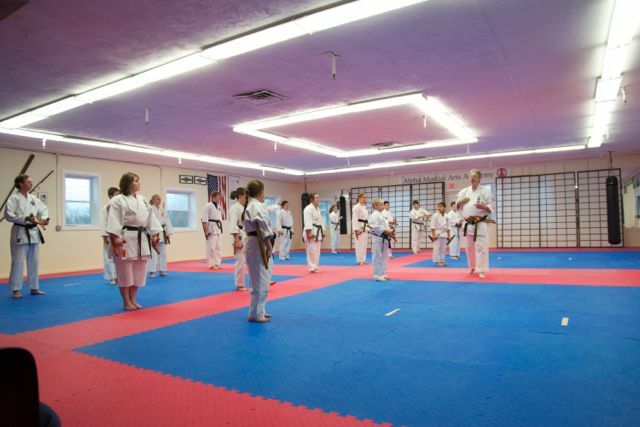 Moment of rest time sharing memories from old karate magazine articles. 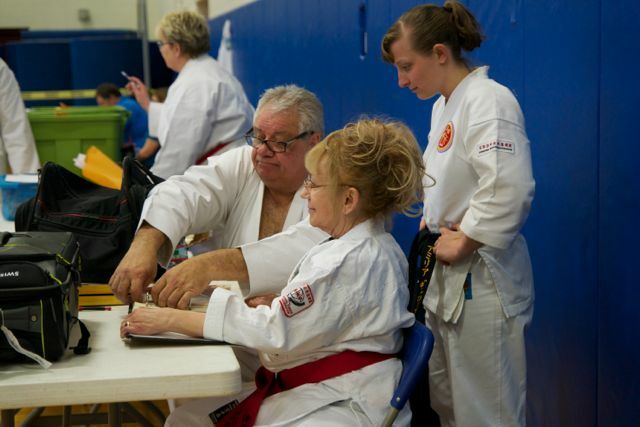 Kyoshi Dan Rupert came up from Texas to assist with weekend event. 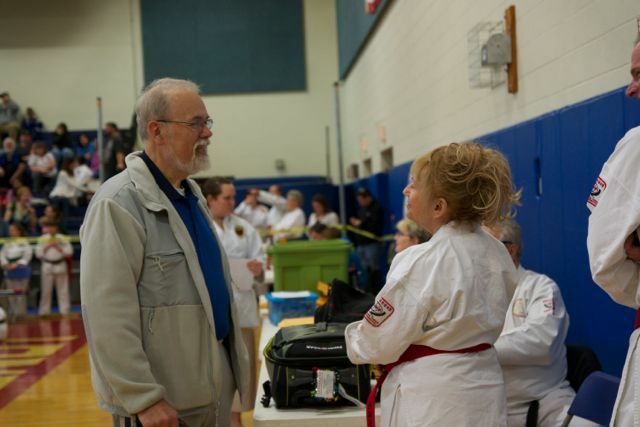 Old friend and long time martial artist Mr. Victor Smith discussing old time with Mrs. Heilman. 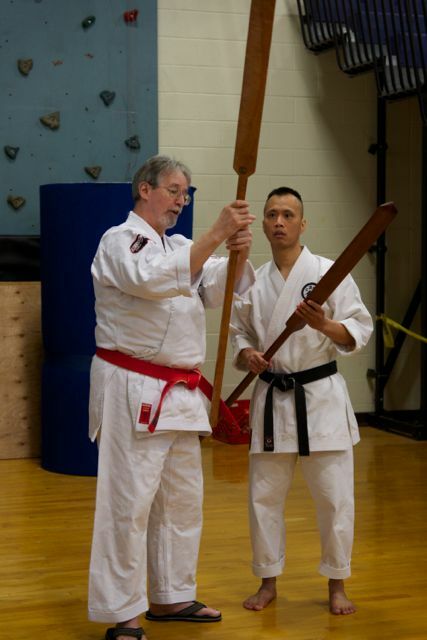 Hanshi Heilman discussion technical aspects of the eiku (oar). 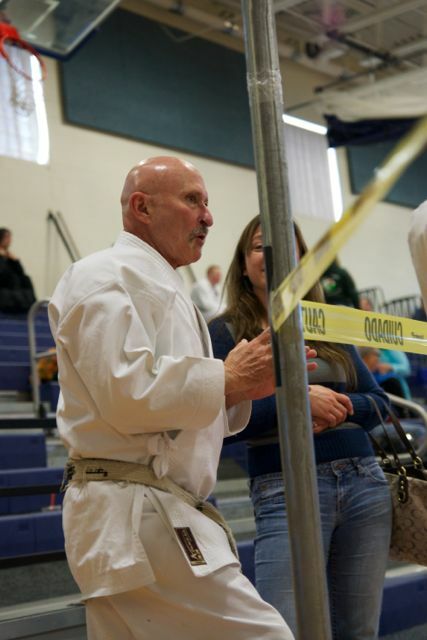 Close-up of Hanshi Richard Bernard at the tournament. Additional private instruction time during tournament. 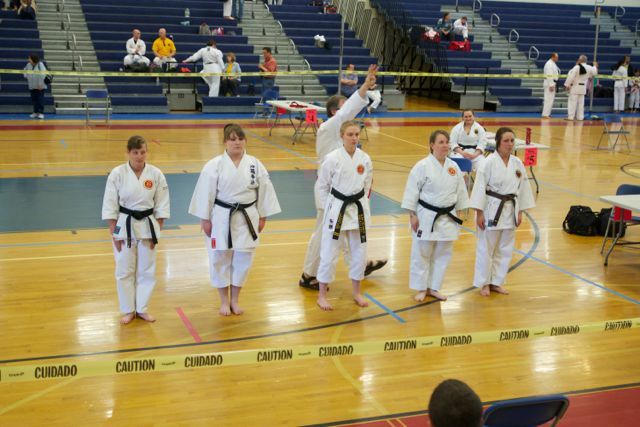 Group of competitors for the Women's Black Belt Kata Competition. 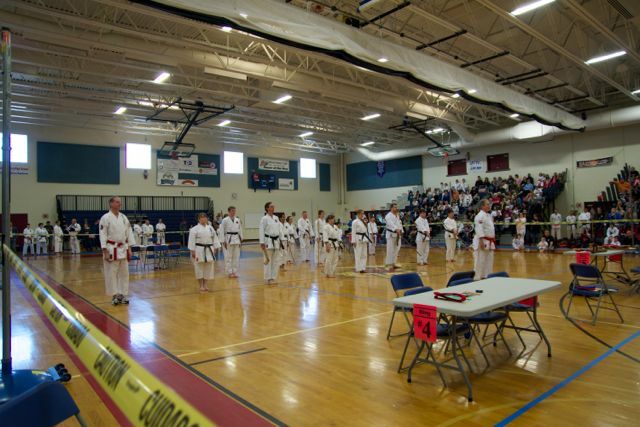 Some very strong traditional kata was presented by this group. 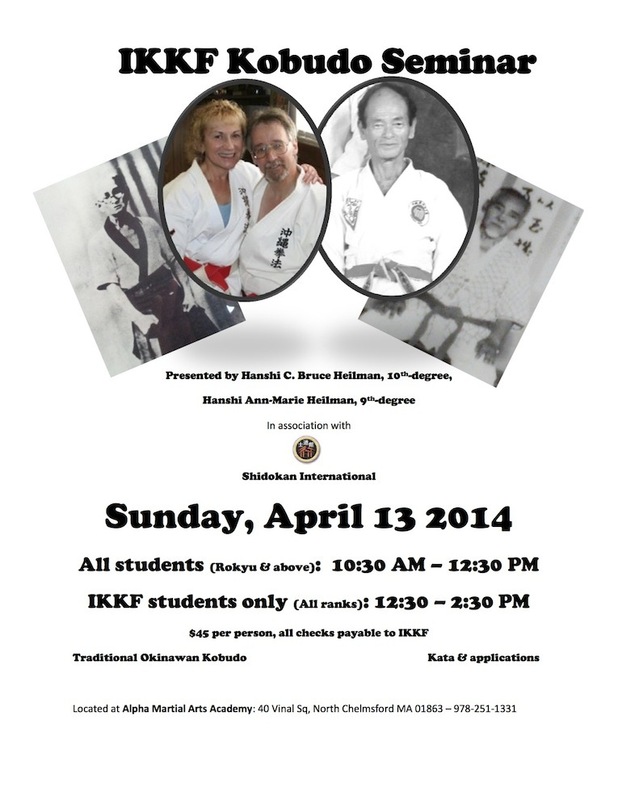 Copy of Flyer on IKKF's Kobudo Seminar. 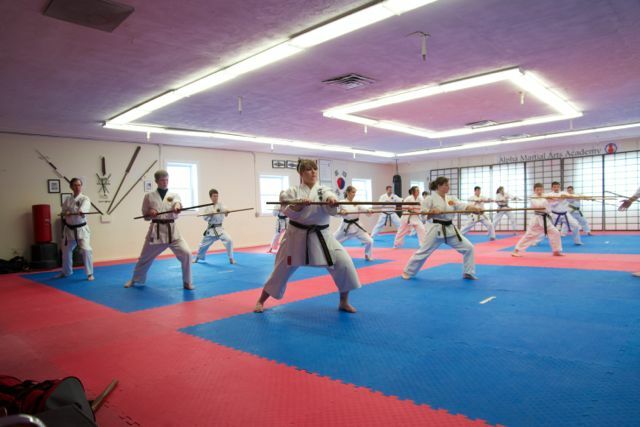 Group photo of participants at IKKF Kobudo Seminar. 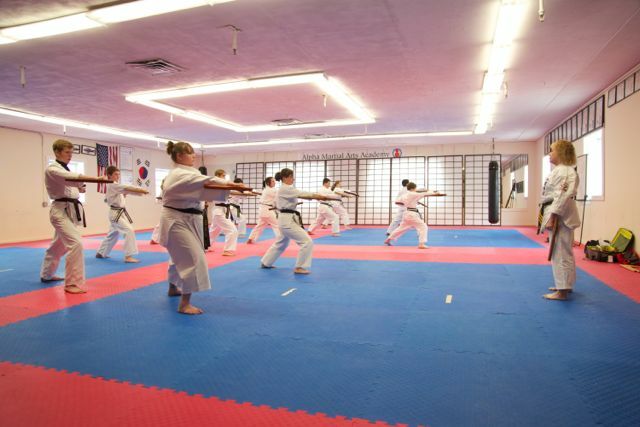 Seminar was taught by Hanshi's Mr. & Mrs. Heilman and Kyoshi Dan Rupert. Mr. Heilman discussing finer points of working with the tunfa. Mrs. Heilman instructing bo-tunfa two-person form. Mr. Heilman demonstrating joint locking application. 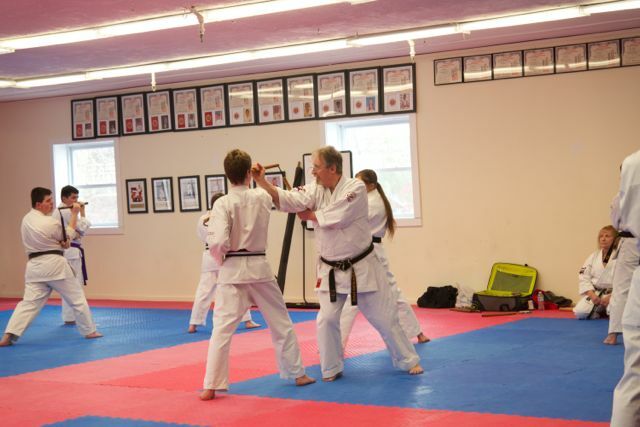 Mr. Heilman applying joint locking technique with tunfa against bo attack. 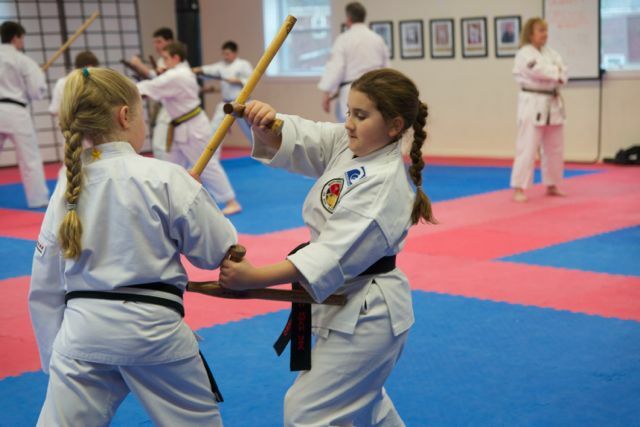 Two young participants practicing drills during seminar. Training in sai and its applications being taught by Mr. Heilman. 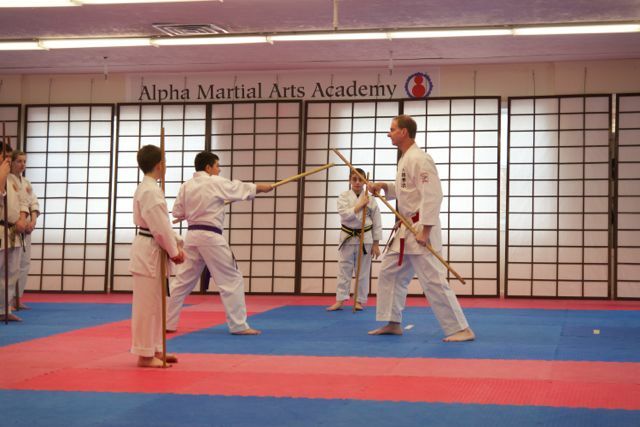 Mr. Heilman working nunchaku with seminar participants. 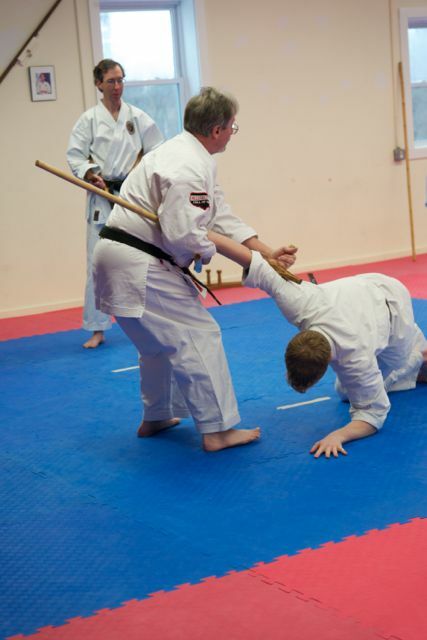 Participants working Shihonuke (Bo 1) during training. 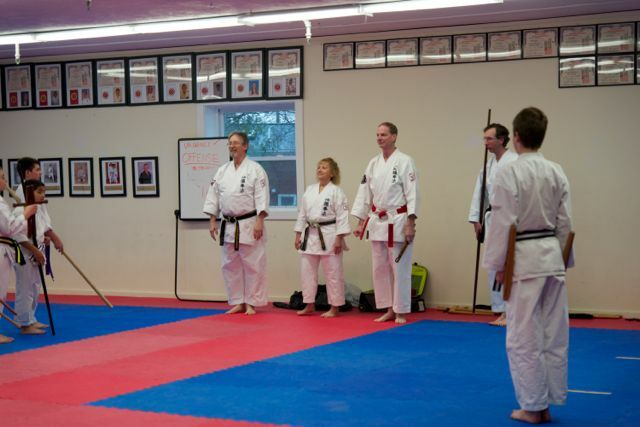 Kyoshi Rupert working bo with seminar participants. Mrs. Heilman instructing tunfa katas. 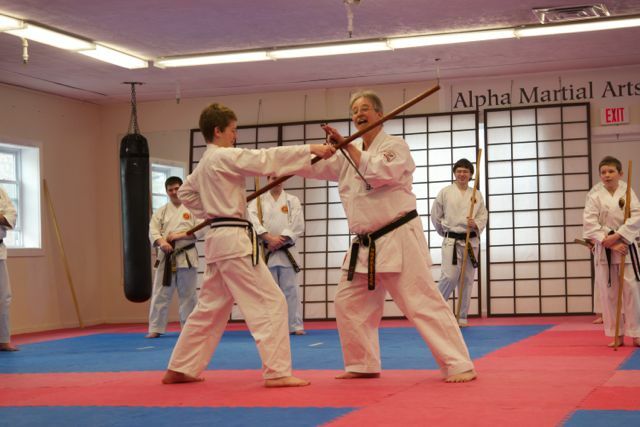 Demonstration of block/strike application with nunchaku. 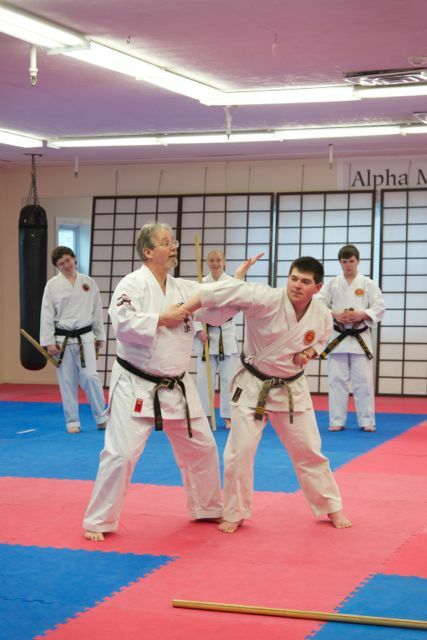 Renshi Rollinson taking Kyoshi Rupert on tour of his Dojo discussing various photos of his instructors.